U.S. Sen. Ted Cruz stopped by McGregor on the first day of his re-election campaign, rallying Republicans with themes of conservative values and Texas pride but warning of an energized opposition. Cruz, R-Texas, faces a midterm challenge in November from U.S. Rep. Beto O’Rourke, D-El Paso. 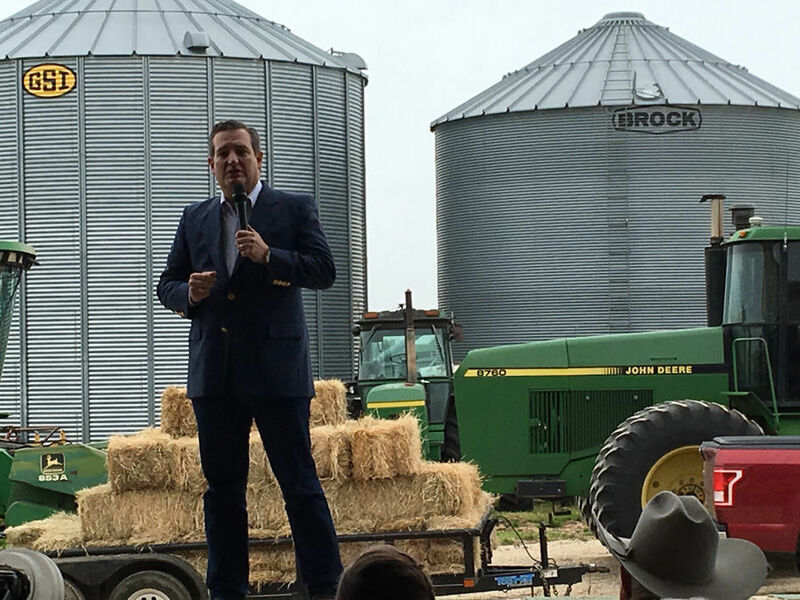 Cruz began his campaign Monday in Beaumont, followed by stops in Tyler, McGregor and Stafford. At the McGregor stop he took on hot-button issues of gun control and immigration and touted a “tough as Texas” campaign theme. He hailed heroes that he said exemplified the Texas spirit, such as the emergency responders to Hurricane Harvey, the men who stopped the church shooter in Sutherland Springs and the farmers of Texas. “Texas is America on steroids,” he said. As a candidate in the Republican primary for the 2016 presidential election, Cruz traded barbs with Trump, who repeatedly called Cruz “Lyin’ Ted.” Cruz blasted Trump for insulting his wife’s appearance and for implying without evidence that his father was involved in the 1963 assassination of President John F. Kennedy. Cruz eventually endorsed Trump and continued in the Senate as one of its most conservative members. In February, he cast the sole vote against legislation to provide a path to citizenship for so-called “Dreamers,” young unauthorized immigrants shielded from deportation under an Obama-era program. Trump signed an order in September to end the Obama program, called Deferred Action for Childhood Arrivals, but litigation has kept the program alive past its March 5 expiration date. Cruz accused other Republican senators of holding a policy position more liberal than former President Barack Obama. He also vigorously defended the Second Amendment, which is under national debate after the Feb. 14 school shooting in Parkland, Florida that left 17 people dead. Stevens recently called for the amendment’s repeal in a New York Times op-ed. Cruz assailed his opponent for winning an “F” rating from the National Rifle Association. O’Rourke, a three-term congressman, brought in $2.3 million in campaign donations in the first six weeks of 2018, according to federal records. That amount is almost three times what Cruz raised in that time. But the incumbent, at last filing period, held about $6 million to O’Rourke’s $4.9 million. In the March primary, O’Rourke gathered 61 percent of the vote against two relatively unknown candidates. More than 1 million people voted in the Democratic primary, while Cruz — facing four challengers — won 1.3 million Republican votes. A Democrat last won a Texas Senate race in 1988. Wesley Lloyd, president of the McLennan County Republican Club, was unfazed by O’Rourke’s candidacy.